The word legacy is one that often crosses the mind of anyone who sustains any level of achievement in this life. If you achieve, what normally follows is the desire to achieve more or to sustain said achievement. That sentiment should differ little whether we’re talking about people or generations. If one generation of people succeed, its modus operandi should be to figure out how to pass along its success to the next generation. In other words, the aim should be to create a legacy. Considering recent events (school closures, incidents of public disturbance), Kansas City’s children are in danger of not fulfilling the legacy that will be entrusted to them. Something must be done. Hence, the creation of the LEGACY Foundation (Leadership Empowerment Growth Achievement Comes from our Youth.) is about. 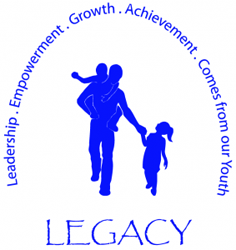 LEGACY’s mission is this: To teach urban youth how to handle the responsibilities of being an effective leader in church, family, school, community, and corporate environments by providing them with the resources and life skills needed to be a leader of today and well into the future. In order to achieve this mission, LEGACY has several aims concerning the urban youth. They include but aren’t limited to: increasing literacy, increasing the graduation rate and teaching our kids how to handle the stressful challenges of daily life. The foundation, which hosted a kick-off skating party for urban youth in November 2010, is looking to prepare our youth in areas such as college preparedness, time management, money management, community service and business management among other things. LEGACY will be hosting a benefit concert on March 12th with headlining act Marsha Ambrosius (formerly of Floetry) at the Beaumount Club. For more info, click here (insert link to concert blog entry or info or Facebook group). If you’re looking to get involved with LEGACY or to get your child involved with the foundation, you can e-mail us at volunteer@ourlegacyfoundation.org for more information.